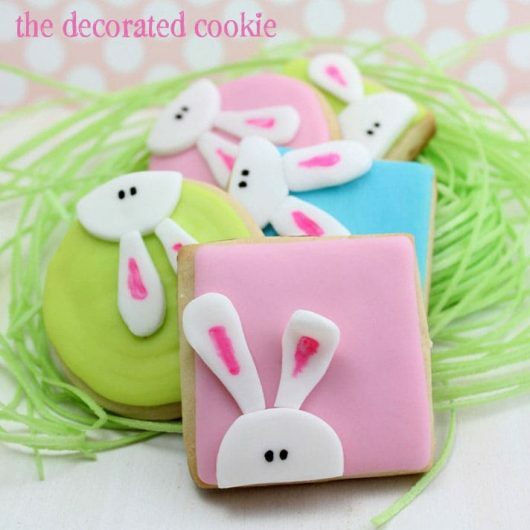 How to decorate peeking bunny cookies for Easter. “Is it Easter yet? Is it Easter yet?” I’ve heard this every morning since Valentine’s Day. Soon, my darling four-year old, soon. Look, I even spotted the Easter bunny peeking around the corner. 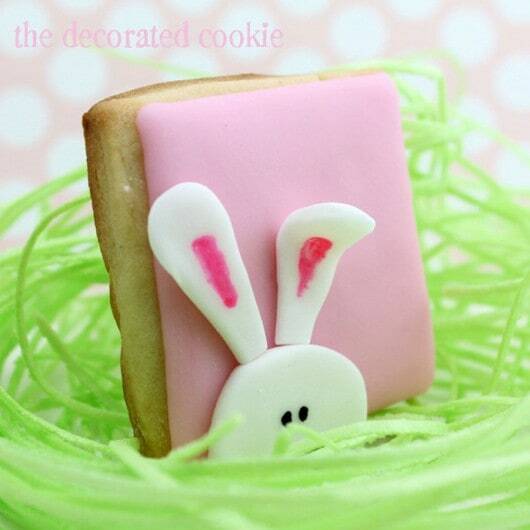 And so, peeking bunny cookies. 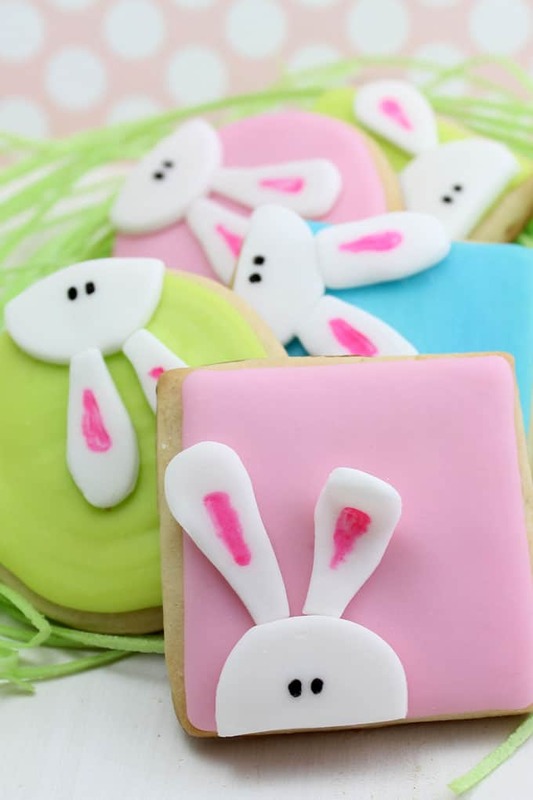 To make these, I cut out 2 1/2-inch squares from my cut out cookie dough. Made my royal icing and tinted pink, green and blue with Americolor Soft Gel Pastes (Electric Pink, Electric Green and Sky Blue). Then I outlined and flooded the background and let dry overnight. I prepared white fondant, rolled it out, cut out 1-inch circles, then cut those in half for the heads. I used scissors to cut out the ears. I attached them to the cookies with light corn syrup. Then I used edible writers to draw the eyes and pink in the ears. Easy peasy! I even bent one of the ears forward. Have you seen any bunnies lurking around your house? so cute it may be criminal. People should just substitute their antidepressants with your blog. Awww. I like those. They are super cute. Love..Love!! So many wonderful possibilities with this awesome idea! 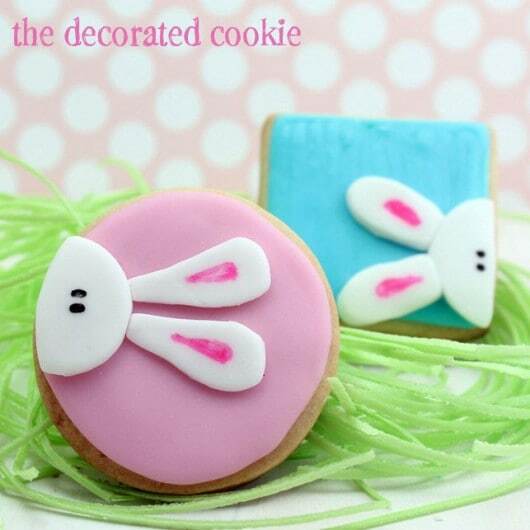 very cute, i want to try fondant on cookies one day. 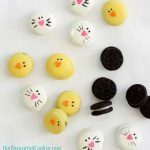 Oh Meaghan – these are the cutest! And how fun they would be to make! Too cute. I especially love their eyes. These are the cutest cookies. I think I’m going to make them for my grandson. He can’t have chocolate so cookies are going to be in his basket and these are adorable. Love them. So cute! I love that they are simple and modern but still somehow have a very spring- frilly adorableness (I’m not even sure that’s a word). They are adorable ans I cannot wait for my daughter to be old enough to celebrate Easter. These are adorably cute. Aren’t kids cute with their daily reminders? That is almost too cute for me to handle. Ohh these are so cute! I haven’t tried using fondant on cookies yet, but it’s great to know that you can combine it with using RI as well. Thank you everybody! Love how much the word “cute” was used!! Yep, Sarah, since I like the taste of RI better than fondant, I do that a lot, using the fondant more sparingly. Love these! They are adorable!!! I’m pretty sure these are the cutest cookies I have EVER seen! I just wanted to let you know that I made this weekend and I am in LOVE! This was my first attempt at flooding AND making/using fondant, so they aren’t nearly as cute as yours! But, I’m so proud of them! You are too amazing for words! Thank you for sharing this! I’d love to send you a photo of my cookies. super cute! I’ve never made fondant before but this seems like a nice and non intimidating way to get into it! 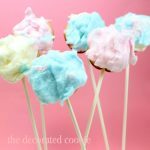 Here is a link to our blog if you would like a peek! LOVE these Meaghan! Past adorable! Thank you for sharing this great idea. I pinned it in my Easter Cookies Board. 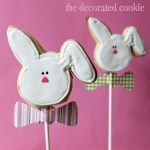 I just found this blog while looking for ideas for Easter cookie decoration. 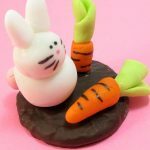 Is it possible not to use fondant and use royal icing as well instead? Also, do you let each layer dry first before putting on the second layer? Hi Catherine. Yes! 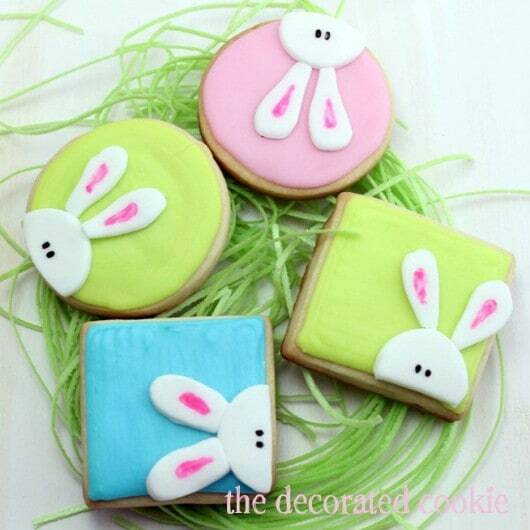 Absolutely you can pipe the bunnies with royal icing. The ear won’t flop in 3D, but that’s OK, they will still be cute. I would do the background first, let it dry totally (a couple hours at least), then do the bunnies with white icing. However, to draw with the writers on icing, you do have to let it set reeeeeally well (longer than fondant). I’d let it sit overnight, ideally, but if you don’t have that long, a few hours should be OK.